A contact management system is a program that enables users to easily store and find contact information, such as names, addresses, telephone numbers and email address. 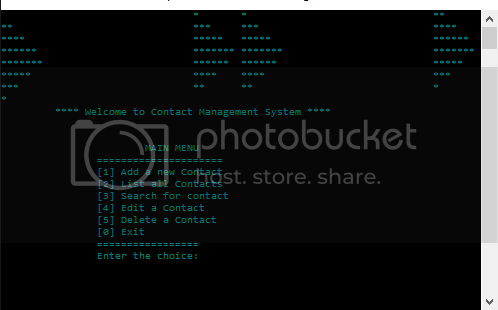 This contact management system can be used to add, view, edit, search and delete contacts. All added and edited records are saved in a file. signed integer constant is assigned to unsigned integer.